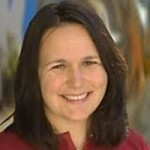 In anticipation of her upcoming conference co-presentation, Identifying Unique Gamer Types Using Predictive Analytics, at Predictive Analytics World San Francisco, May 14-18, 2017, we asked Natasha Balac, CEO and Founder of Data Insight Discovery, Inc., a few questions about her work in predictive analytics. A: It varies, as we work with clients across many verticals from condition based maintenance to forecasting sales. One great example that we will present at PAW is in the exciting world of Marketing. This area has been one of the fastest and most electrifying adopters of predictive analytics methods, with countless reports of significant lift and ROI over more traditional approaches. With the onset of Big Data, we can now utilize even larger and more diverse data to optimize data-driven marketing decisions. Q: How does predictive analytics deliver value to your clients – what is one specific way in which it actively drives decisions or operations? A: The ability of companies to sharply focus marketing and PR efforts has improved tremendously with predictive analytics. The insights provided by predictive analytics reveal the specific pattern of characteristics and behavior profiles of customers most likely to buy a particular product. 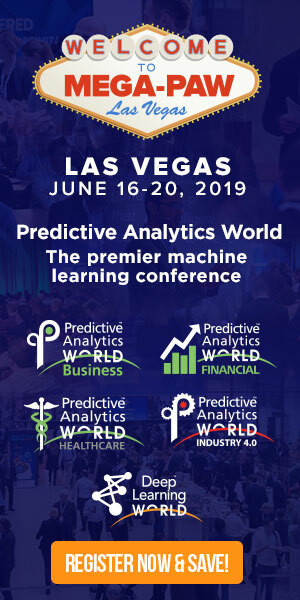 Predictive analytics methods take in a wide variety of data, and systemically enable refined customer segmentation and customer persona optimization. This enables clients to approach customers with a more tailored and personalized message, and focuses marketing resources on the customers more likely to respond. A: Non-disclosure agreements prevent us from sharing specifics regarding projects, but numerous projects showed several orders of magnitude lift in sales through the application of predictive analytics models. The outcomes from the models allowed the clients to segment and approach the right groups of customers with the right message. A: Our predictive analytics work for one client produced results that suggested significant, unexpected demographics were being overlooked. These insights lead to a change in how the client targeted customers. A: Customer behaviors and preferences can be quite surprising, non-intuitive and difficult to predict. Building personalized offers, and delivering engaging, personalized consumer experiences is the key to successful, optimized marketing campaigns. Utilizing sophisticated segmentation and data-driven insight allows you to target the right customer with the right message consistently. Don’t miss Natasha’s conference co-presentation, Identifying Unique Gamer Types Using Predictive Analytics on Tuesday, May 16, 2017 at 11:45 am to 12:00 pm at Predictive Analytics World San Francisco. Click here to register to attend. Use Code PATIMES for 15% off current prices (excludes workshops).